Keep cool as the kids make these beautiful Butterfly Fans. Fun to make and even more fun to play with after. 1. 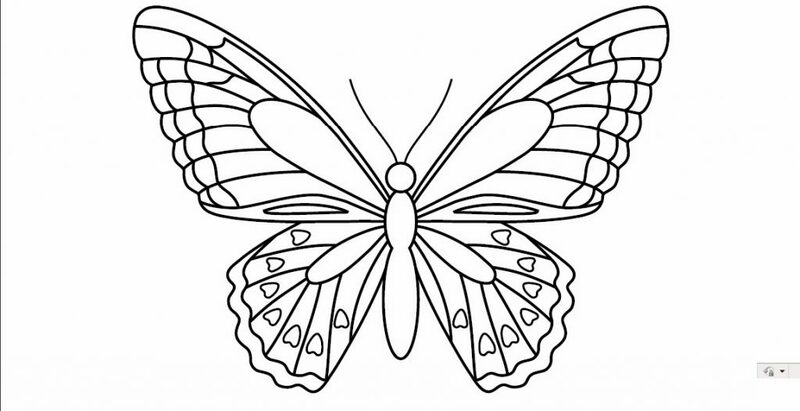 Draw two large identical-sized butterflies or click on printables and print out the butterfly pattern twice on A4 or Letter size paper. 2. Color the butterflies. If you're using the templates, you can draw and add more details if you like. 3. You may even add sparkle and texture using glitter glue or puffy paint. 4. Cut out both butterflies. The antennae are quite delicate but if you can cut them out, you may include them on at least one butterfly. 5. Trace a butterfly onto a piece of cardboard. Cut out the cardboard butterfly - this will be used to reinforce your fan. 6. Glue one butterfly onto the piece of cardboard, aligning them around the edges. 7. Obtain one large craft stick for the fan's handle. You can paint it if you wish. 8. Glue the craft stick at the back of the cardboard-reinforced butterfly. Position the stick in the middle, with its top end as close to the butterfly's head as possible. This ensures that the craft stick supports the entire length of the butterfly body. 9. If your butterfly has no antennae, you can still make a pair by cutting out two thin paper strips and gluing them at the back of the butterfly's head. 10. Finally, glue the second butterfly on top of the first, sandwiching the cardboard in between. 11. As an option, you may glue on additional details such as wiggle eyes, sequins, stickers, or rhinestones. Wait for the glue to dry before using your butterfly fan. This craft is reprinted courtesy of FirstPalette.com.